It’s April Fools, and you know what that means? You’re about to have a pretty entertaining weekend packed with brand silliness. You should also be aware that digital showed it’s dark side this week. Instagram’s algorythim panic, Miitomo ups the social game, Judgmental maps are now a thing, TV VR is closer than we think, and Vive will let you stay connected while in the virtual world. Crack open that well deserved cold one and celebrate surviving today while enjoying the digital marketing news in this week’s edition of The Weekly Wins. Instagram have announced that they will introduce an “algorithmic timeline” rather than sorting its posts chronologically. According to an article in Independent UK the algorithmic timeline decides what order to show posts in based on various criteria. Well the panic is focused on missing posts from your favourite accounts Instagram says it will actually do the opposite if you turn on your notifications that is. HTC have just launched Vive App on iOS to help people stay in this world while they play in the VR one. It has been rumoured that HTC planned to integrate Bluetooth into the Vive headset to allow the user to stay connected to the phone while playing in VR. At the moment they say notifications about phone calls, text messages and calendar events will pop up on your screen. It’s an interesting development and cool read. This is a pretty interesting view on they way we look at maps. Check out the rest here and see where your home falls in the eyes of some. Wareable spoke to IM360 and NextVR about how TV will transition to VR and it’s a fascinating article. Palmer Luckey predicted the move from TV to VR headsets back in 2014 and it looks like he was preaching the truth. According to this article and common knowledge traditional TV is already ‘hemorrhaging and by contrast 97 million people will spend $14.5 billion on VR hardware and content by 2020. 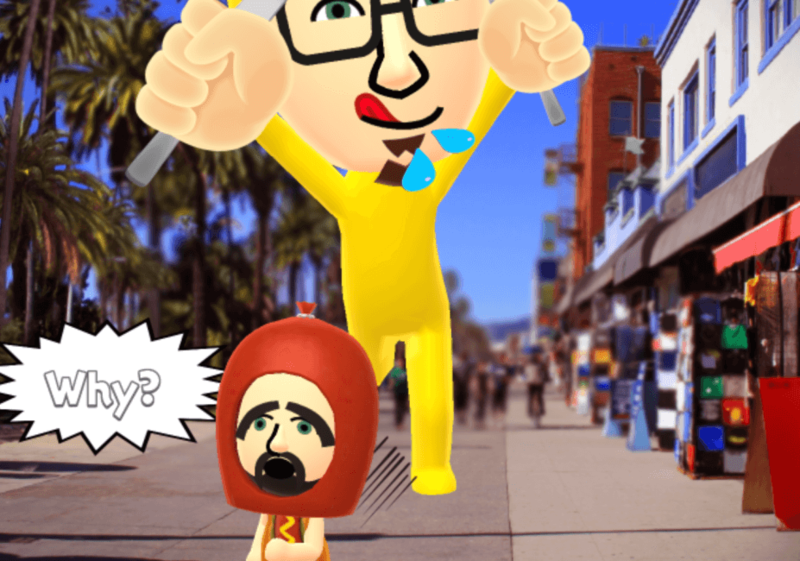 Miitomo is a Nintendo-like version of Facebook. It was released yesterday for iOS and Android. In a nutshell it is a social network with some light game elements. You spend your time interacting with your Mii and other Miis by answering questions. Your friends will see these interactions. The premise is really all about getting your personality out their and sharing it with the people in your life.